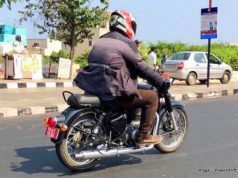 As reported earlier, Classic 350 Alloy Wheels to come soon, little we know that Royal Enfield started to offer Classic series of bikes with optional alloy wheels. 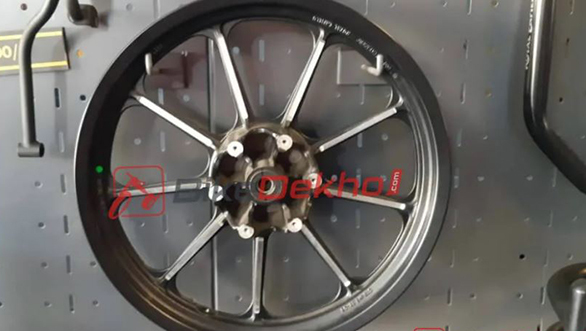 These OEM (Original Equipment Manufacturer) alloy wheels will set you back by Rs 10,500. This price also includes fitting charges. For the additional price, you will only get the alloy wheels. These wheels will take in the original tyre and tube. If you want to equip you Classic 350 with tubeless tyres, you can now do that, maybe for some additional price. With tubeless tyres on the new 9-spoke alloy wheels, you can go long distances without worrying about punctures. This is because tubeless tyres are easy to patch up in such cases. These alloy wheels are also available for Thunderbird 350X and 500X motorcycles. The alloys get dual tone finish which makes them look appealing. 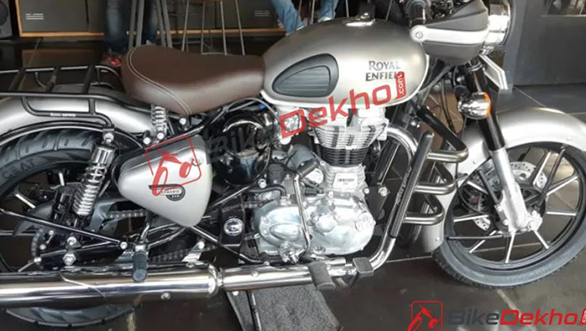 There is a Royal Enfield engraving on the wheels which shouts that they are originally made for Royal Enfield bikes. The only gripe with the alloys is that alloys tend to crack during off-roading under heavy impacts. 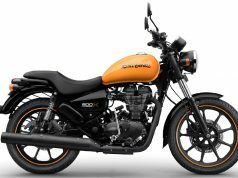 The company is working to provide optional OEM alloy wheels for newly launched Interceptor 650 as well as Continental GT 650. 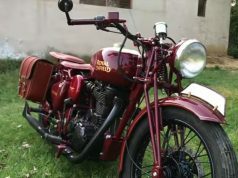 The twin cylinder motorcycles are right now available with spoked wheels and tubed tyres. With the arrival of alloys, one can change the tyres to tubeless. 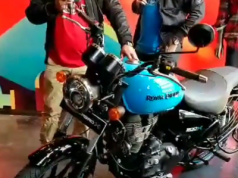 Royal Enfield has teased upcoming Bullet Trails motorcycles which are slated to launch on 26th March 2019. 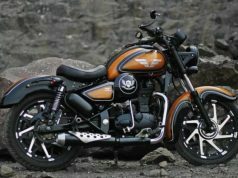 These bikes are altered a bit to make them stand apart from the rest of the Royal Enfield bikes. 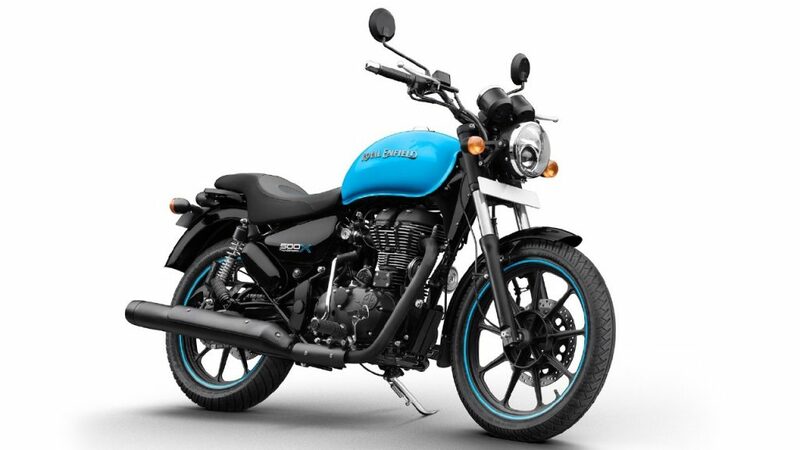 Trials get the 1950s theme which includes single seat, luggage rack, knobby tyres, higher ground clearance, upswept exhaust as well as raised mudguards. 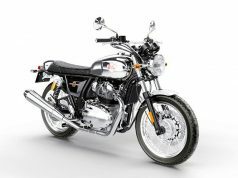 The Bullet Trails will be off-road focused motorcycles. 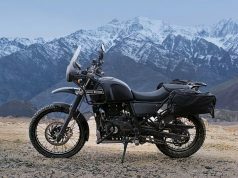 But keep in mind, Himalayan 400 is a proper Adventure Tourer motorcycle from the Royal Enfield.